What does it takes to break into Bollywood ? The most prominent writers and directors representing diverse genres of Indian filmmaking will be gathered under one roof in New York City to educate you and share their experience of working in the most exciting Film making community in the world right now . Madhur Bhandarkar:National award for Best Director for Traffic Signal and maker of national award winning movies Chandni Bar,Page 3 and Fashion is currently getting ready to release the most awaited movie of the year Heroine. Imtiaz Ali: Nominated for best director for Rockstar and Jab we Met and maker of Blockbuster Love Aaj kal ,Socha Na tha. Writer of recent superhit Cocktail. Zoya Akhtar : Filmfare award for best director for Zindagi naa Milegi Dobara . 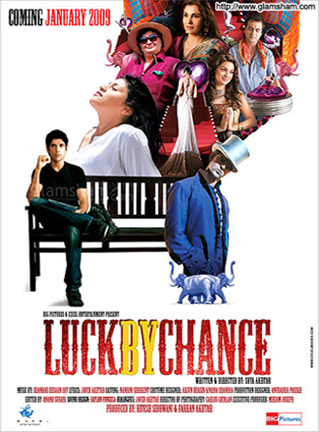 Maker of Luck by Chance and writer of soon to be released Taalash . For the first time in the U.S., four of India’s most distinguished filmmakers will come together to discuss the finer nuances of Bollywood filmmaking. They will cover the basic elements of storytelling, share insights on the different aspects of writing-directing-producing, and assist you in targeting your entry into the Bollywood community. This a once in a life time chance to learn directly from India’s expert filmmakers. If you are an existing or aspiring filmmaker wanting to understand the inner workings of Bollywood, this is your opportunity to meet these renowned creatives in person and learn from the best. Get your Ticket 2 Bollywood now!